This delicious promotion ends on Saturday 21 November 2015. So you have to really hurry over to enjoy this awesome deal. This is what the flyer says. 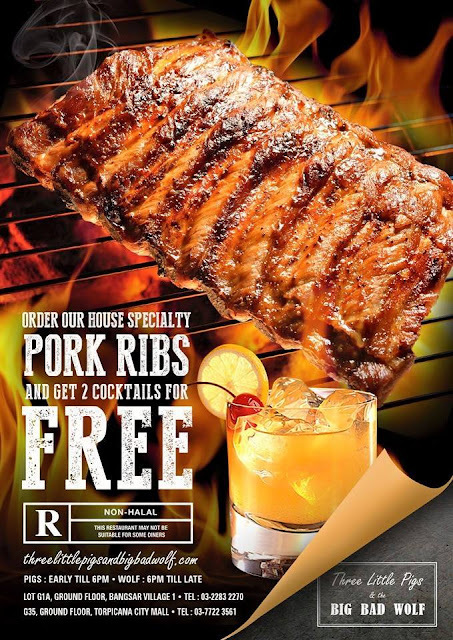 House specialty pork ribs with 2 cocktails for RM85. What you get is as follows. 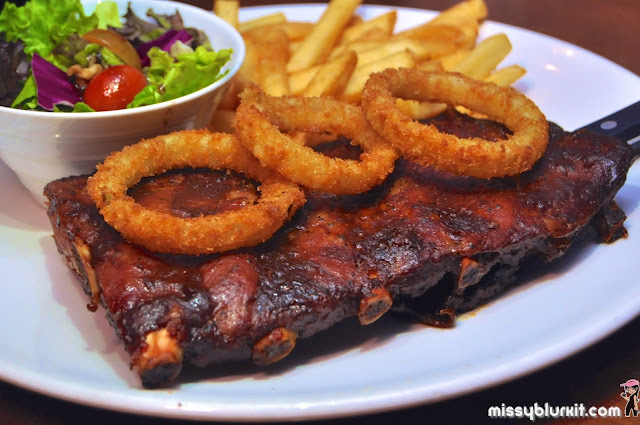 A platter of ribs, salad (mummy says eat your vegies! ), loads of fries, 3 onion rings and a choice of 2 cocktails. Both options of cocktails Whisky Sour and Southside go really well with the ribs with my personal preference being the Southside while Ee Laine preferred the Whisky Sour. 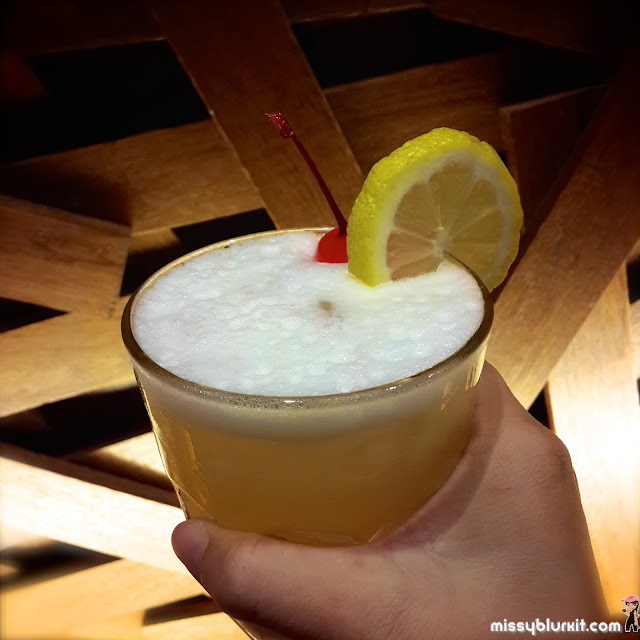 A refreshing whisky sour. No cheats - complete with egg white! 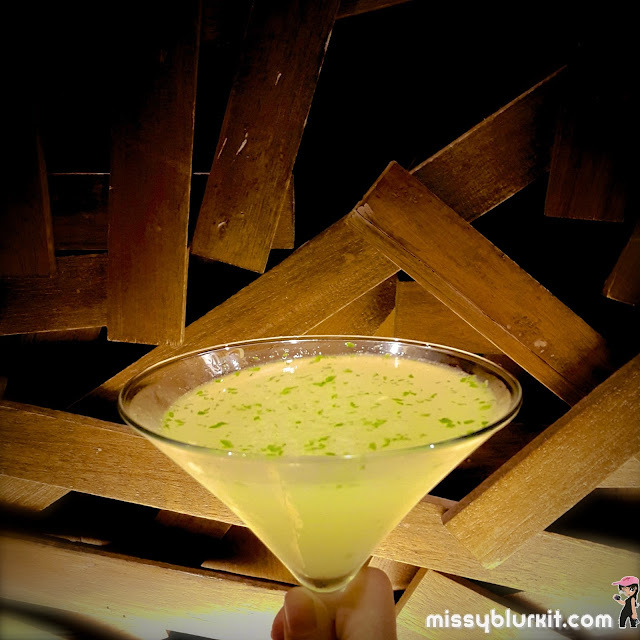 Southside - refreshingly zesty and tangy the way I like it. This went well with Ee Laine too but she would have liked this better if it was less sour. 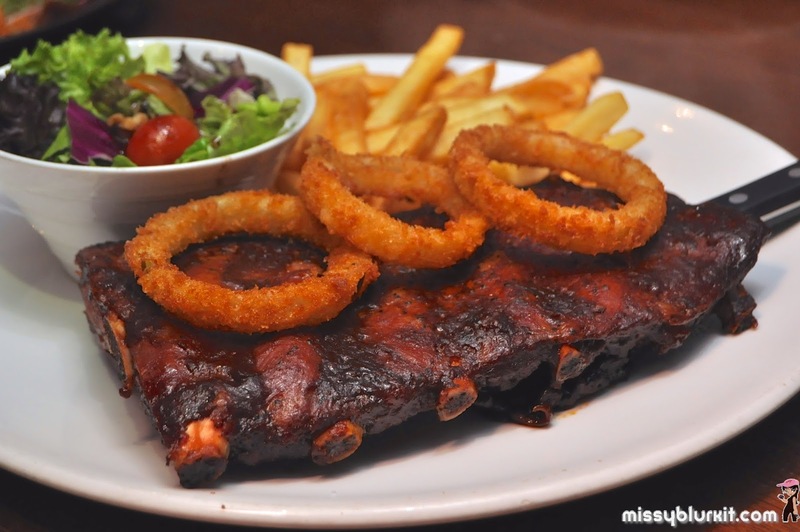 Juicy rack of porky ribs imported from the USA. Tender goodness in every bite. Nothing too salty even when eaten on its own. I would have loved to snap a picture of the cross section to prove the point that it was moist and juicy but my fingers were too busy with the ribs. These are finger and bone licking good so forget the utensils or even the idea of snapping pics unless you have someone who is willing to drool while helping you with the pics. Delightful classic with sweet ripe bananas to go with comforting, sticky toffee. My favourite of all favourites - Musang King Pie RM16. 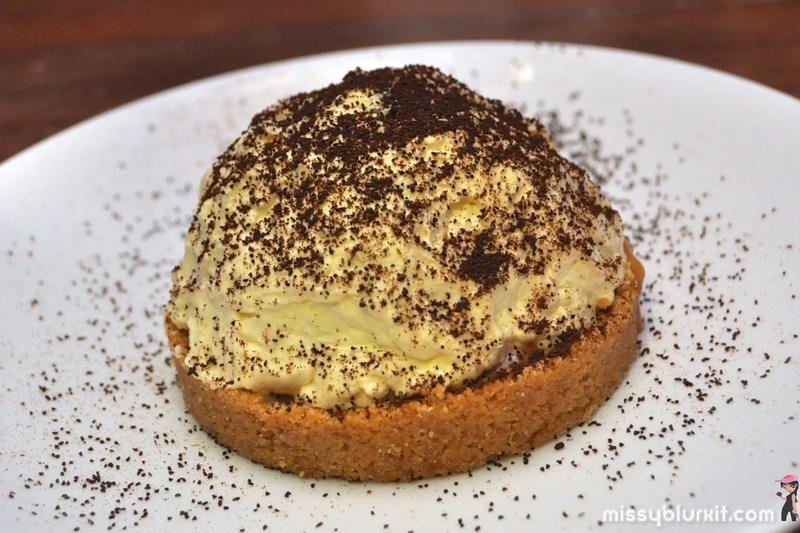 Made with real Musang King, this is a must for durian lovers. 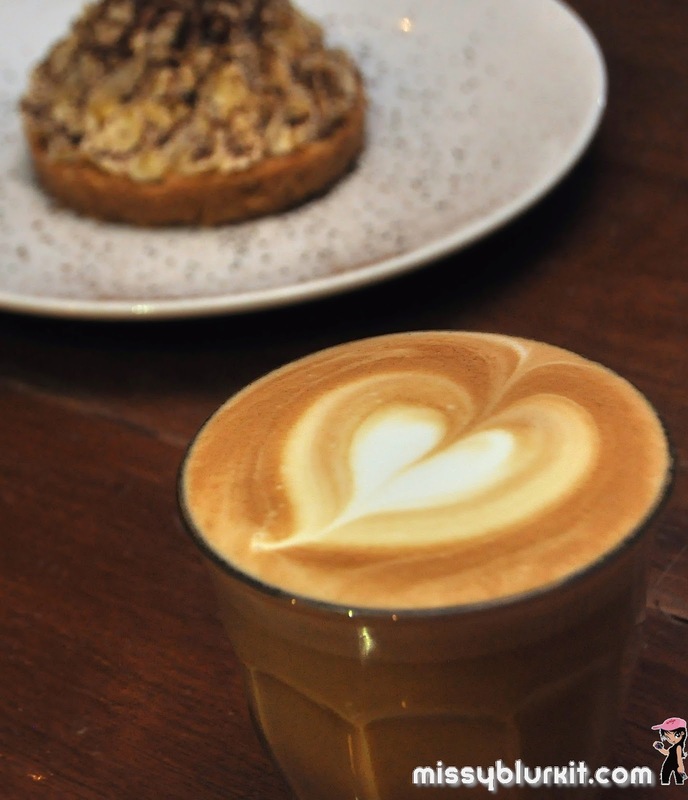 For a limited time only, Three Little Pigs & The Big Bad Wolf is rewarding its customers with a FREE hot coffee of your choice with every order of dessert. My choice for the night is Latte which normally costs RM9. Good oinky noms awaits you at Three Little Pigs & The Big Bad Wolf. Why 2 names? Well, it is something to do with their operating hours and menu. Either way, both taste equally delightful. Stay tuned for another post because I was there earlier this week with my running buddy Gracie and her cute son. Bangsar Village I, Kuala Lumpur. Three Little Pigs & The Big Bad Wolf is also a partner of Offpeak.my. Enjoy 10% discount off your meal when you make your reservations via Offpeak.my on your web browser or even mobile app (available for both iOs and Android). 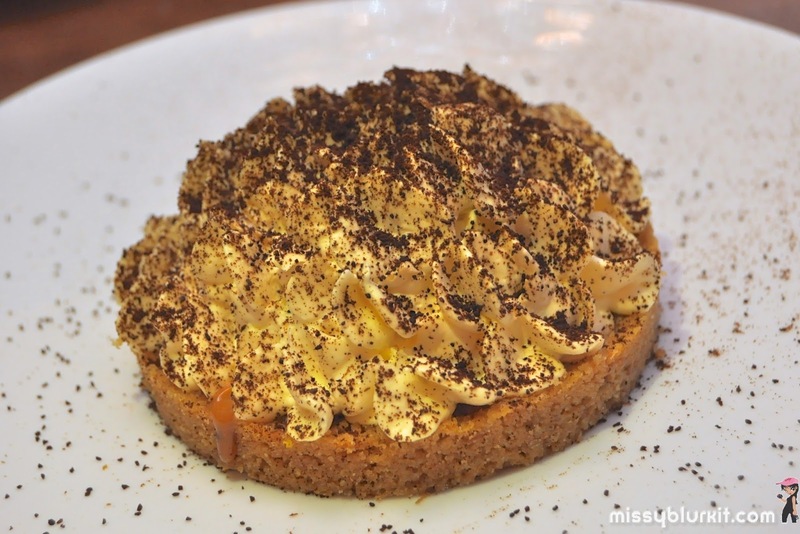 Valid for all food, desserts and drinks in the a la carte menu, excluding alcoholic beverages.